As with any business, you might be wondering how you can take your business to the next level. Grow Your Business with Adorable Gift Baskets. We offer a creative gift giving solution and make it easy to send gift baskets to your Virginia clients and business associates nationwide to build repor for your company. Business gift baskets delivered to associates can help your business shine in the eyes of clients because they will always appreciate a gift that's well thought out and illustrates how much you value their loyalty as a customer. Our exquisite corporate gift baskets will make an impression on any business associate...from the small business owner to the multi-million dollar executive. Adorable Gift Baskets offers a huge selection of premium gift baskets suitable for every business client. Some of our most popular gift baskets include gourmet food arrangements featuring chocolates, coffee, cookies and more. Customer favorites include fruit and nut gift baskets as well as savory gourmet food gifts such as tasty snack foods, sausages and cheese while others feature items to satisfy a sweet tooth. Assortment is the key to great corporate gift baskets. You might not know exactly what types of foods a client will enjoy. This is where our huge gift basket selection provides the perfect gift solution. We offer many baskets featuring a wide assortment of delicious gourmet foods. Some baskets blend chocolates or cookies with coffee and/or other gourmet food treats. This combination ensures your recipient will find tasty treats they are sure to love. And of course, they can share with folks at the office as well! Adorable Gift Baskets makes it easy to select that perfect corporate gift basket. Each basket is filled with high quality food products and arranged in luxurious packaging for a presentation that your client will never forget. We have gift baskets designed for men and women clients, as well as huge corporate gift baskets that are just right for an entire office staff. 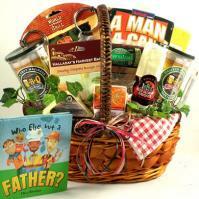 We offer theme gift baskets designed for the golfer or any other type of sports fan. You'll even find gift baskets featuring divine gourmet varieties from around the world. Our corporate gift baskets delivered to clientele can help you create a solid relationship with business associates. Prepare now to awe your clients with gifts delivered during the holidays or any time they make a sizeable purchase or investment. You might soon see an amazing increase in your repeat business purchases as your company's profits soar! Adorable Gift Baskets delivers gift baskets, gifts and presents to VA for holidays and all gift-giving occasions. The dogwood is the State flower, even though it is a blossom. The dogwood is also the State tree. The American Revolution ended in Yorktown, Virginia, when Cornwallis surrendered. Virginia was the native State of eight Presidents. Seven Presidents are buried in the State. The first of the original thirteen colonies was Jamestown. The colony flourished by growing tobacco, which is still the major cash crop of the State today. The palisade at Jamestown only had three corners. Jamestown was where Pocahontas is said to have saved the life of John Smith.